The traditionally-built Hotel Madoupa is located in Vrissi, just 600 metres from the centre of Mykonos Town and within 1.5 km from the beach. It features air-conditioned rooms with free Wi-Fi and garden views. 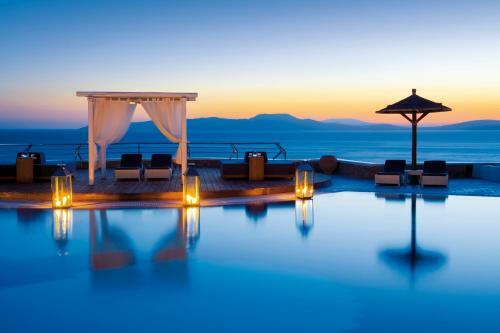 Within proximity of Chora in Mykonos, the awarded hotel Cavo Tagoo features an infinity pool with a 40-metre aquarium bar, and a fully equipped spa with indoor pool. All rooms enjoy sea views. Occupying a 20,000-square-metre land, Saint John Hotel Villas & Spa features an infinity pool with open views to its private beach. Rooms with spa bath, fine dining, and famous bars await guests. The elegant rooms offer sea or garden views. 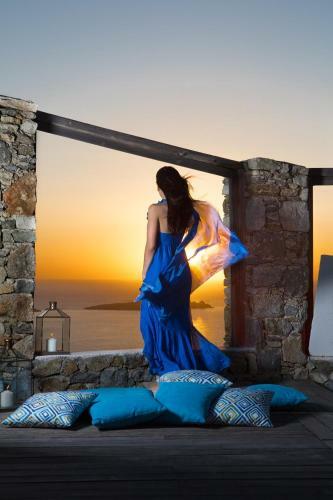 Tharroe of Mykonos is located on the top of a small hill, overlooking Mykonos Town and the Aegean. It boasts sophisticated accommodation, stunning sea and sunset views and gourmet dining. 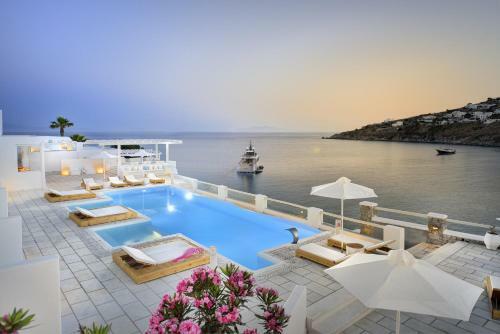 The sophisticated Hotel Semeli is situated in Mykonos town, 500m from Megali Ammos beach. It boasts tastefully decorated accommodation with sea, town or garden views, a sweet-water pool with sun beds and a spa. Built with an exceptional view over Psarou Beach, Nissaki Boutique Hotel enjoys an ideal location in the island of Mykonos. 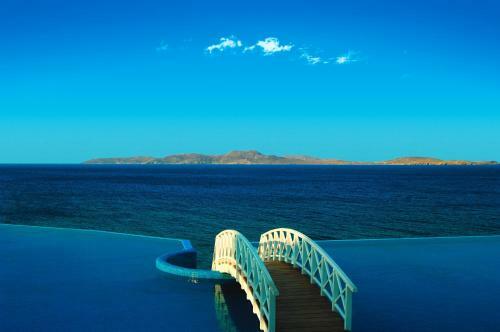 It overlooks the blue Aegean Sea, and is within a short stroll from sandy Platis Gialos beach.